ISV dosen't work properly because when I unplugged it the idle is perfect. New ISV will arrive next week. I still wonder about the potentiometer. 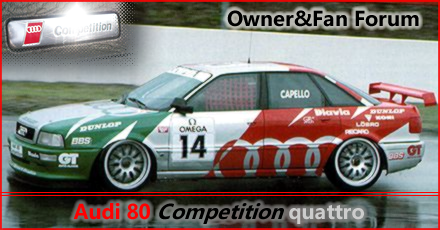 What is the benefit if the car runs perfectly with out it? i dont know why it is working ok without, but i have an extra compi throttle, and i will try to open the box, to see if it regulates the inmpendance or it just replaces the idle and wide open throttle switches. 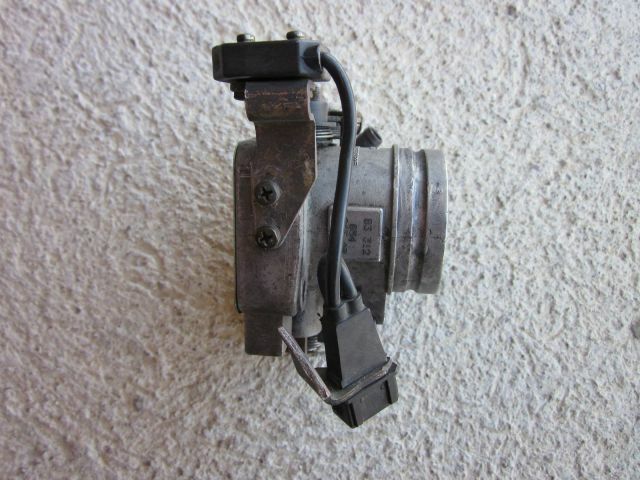 In the last week i was thinking how could i attach the potentiometer of the original compi throttle body to the 5 cyl throttle. 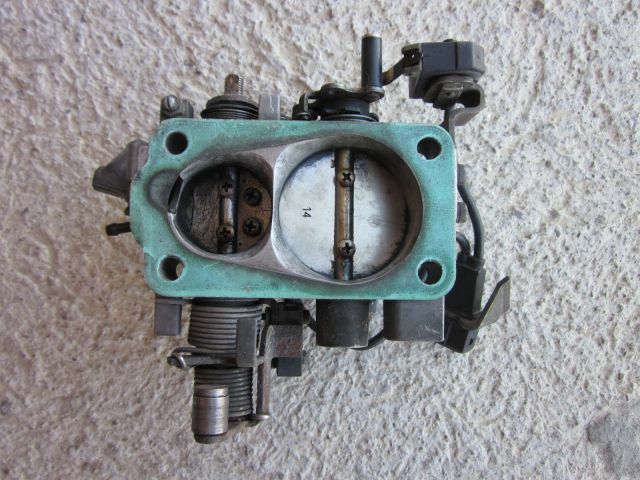 the box is too big to install under the 5cyl throttle body, because i have the 5 cyl exhaust manifold, and installing it on top would take some mechanism, so it turns the right way around. 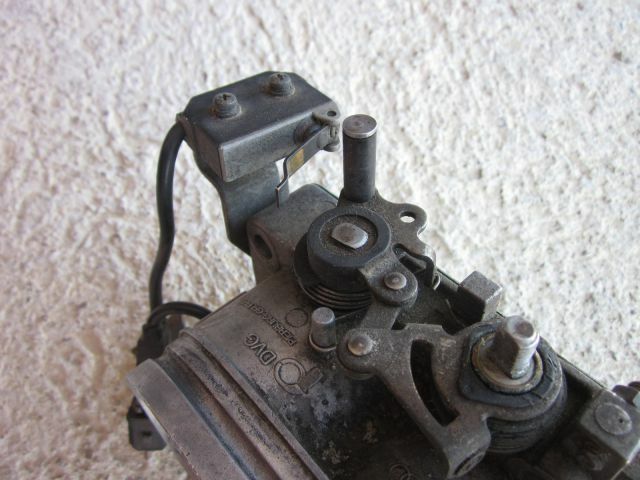 there is the idle switch, and for the WOT (wide open throttle) two pieces of metal just touch each other. this is a really retarded design, totally useless, and very deceiving. 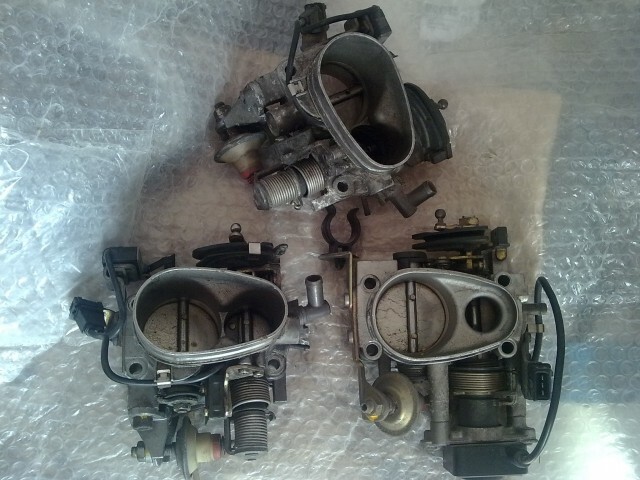 so bottom line is, the 5 cyl throttle body with 3 pin connector and so with 2 switches (WOT on top, idle on bottom) will work PERFECTLY on our engines! i have modified it, so in the place of the idle screw there is the pipe that goes to the airbox. 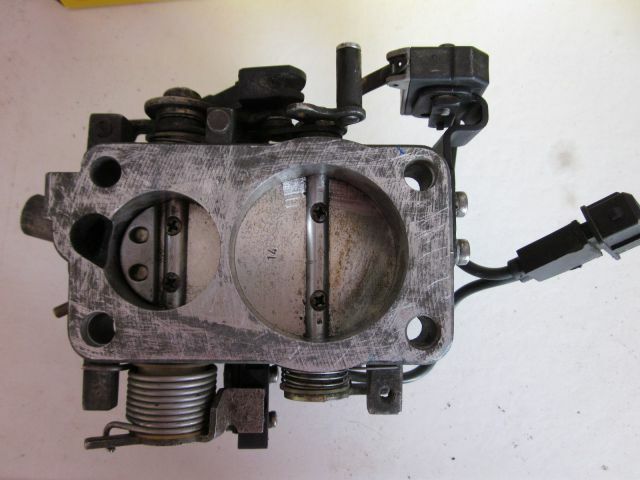 iv choosen this throttle body because it has the less springs and mechanisms on the bottom, so it is far from the exhaust manifold. 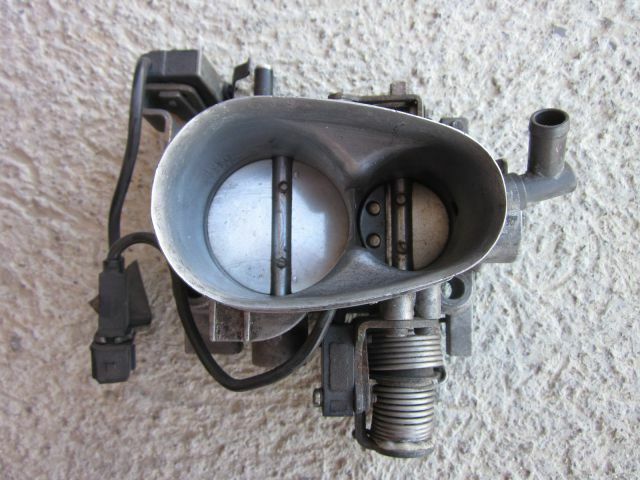 the bad point of this throttle body is that it has no damper, so when you release the gas pedal, it closes the fuel very fast, and if you want to accelerate fast, this is quite bad, as you really need to keep the gas pedal pressed when shifting gears. i will try to add the damper to it. as it keeps the throttle open for a little time. the throttle on the left is the 5cyl engine with 2 switches that works pefectly for cars with stock exhaust manifold, just plug and play. you can see how much more air flow capabilities it has compared to the stock throttle body. 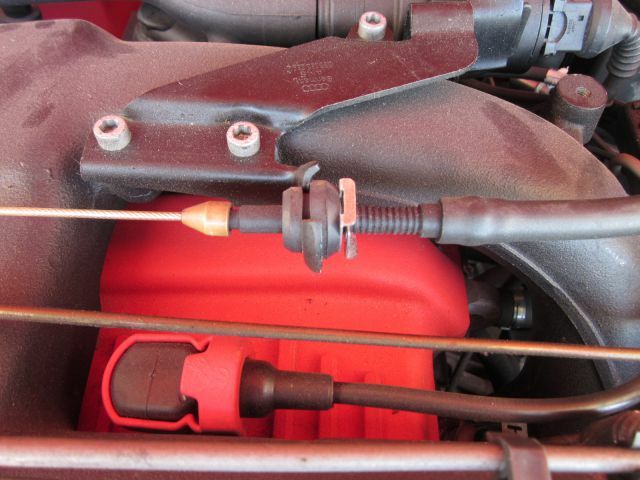 i think because of more air getting in the engine, it would be good to reset the injection to a little more fuel. 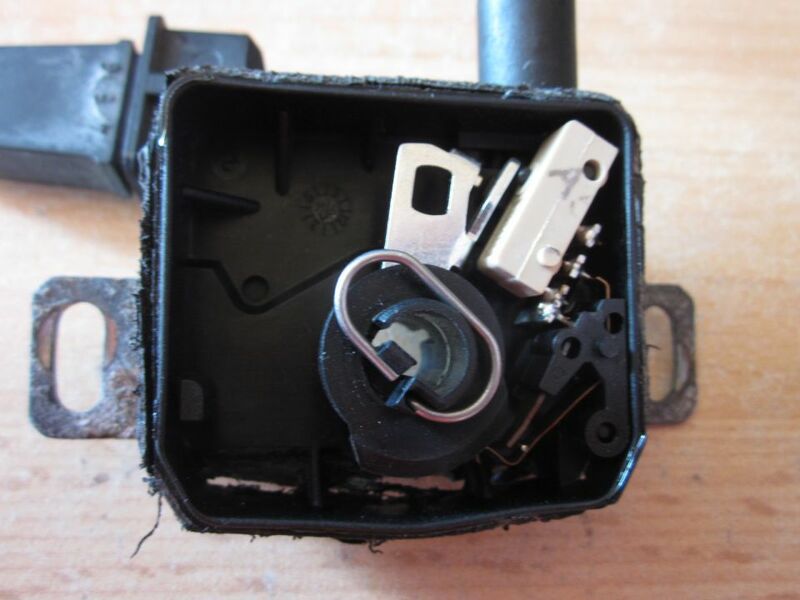 this is the interior of the "potentiometer"
you can clearly see the grey idle switch in the top right corner, you can see the crome brace touching the micro switch. I replaced the ACE's tb to the NG's tb. Conected ISV car wond work. It s like wrong air/fule mixture. Car works like Subaru. But unplugged ISV car works well but idle is about 1500p. 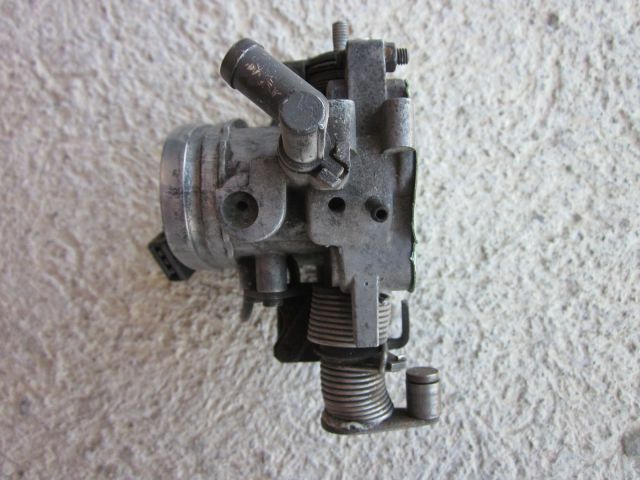 first of all i would suggest you post a pic of the throttle body, because the NG had different TB`s. 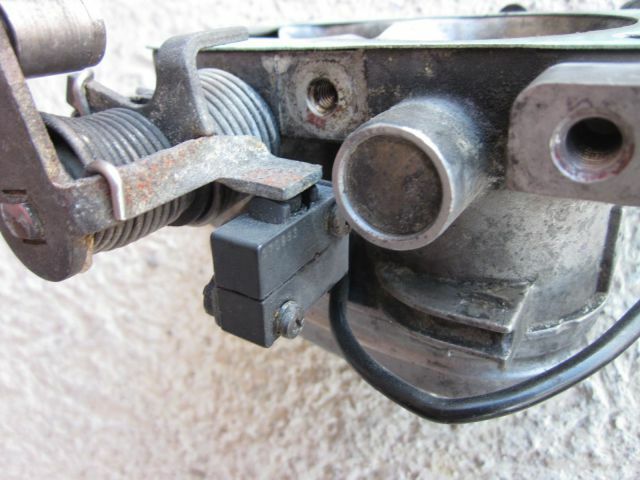 the first thing i would check is if the idle switch works, and if it is turned on when you release the throttle,maybe it is set wrong, or maybe your throttle cable is too tight, and doesent allow the TB to fully close, like it happened to our friend harhamo on page 2 in this thread. second thing, did you connect the vacuum pipe right? no leaks? this is how i have the cable set on my compi. maybe you wont need to set is so furter to the right, as my TB is heavily modified from 3 different TB`s because of the exhaust manifold. 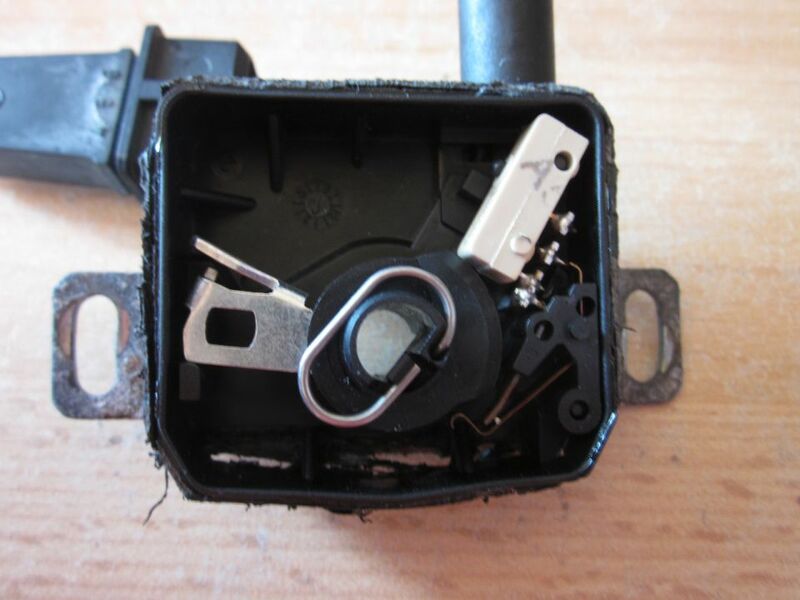 just be sure the cable is not tense when the pedal is released, and that the throttle body triggers the idle switch. you can clearly hear the "click" when it does, so it is easy to know. (with engine turned off). 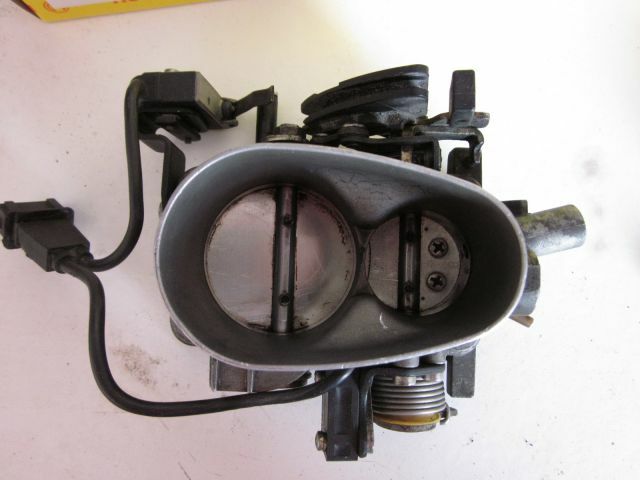 damn, this is not the throttle body you want, because it has no wide open throttle switch on top. Looking for the right TB then. But in your pictures ther is small pipe. This will by open? that pipe should be blocked. today I replaced my ACE TB to NG TB too how to minimise idle rpm to 1000? 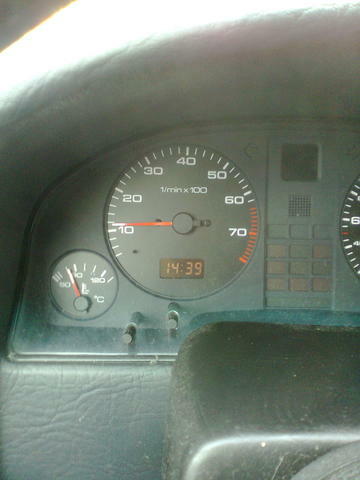 now I got about 1200rpm at idle. accelerator cable is not tight, vacuum pipes are connected right too what could be plugged incorrect? To replace a throttle from 2,3 is more exact NG.ARR.NF.RT. own for some time a Comp. Have also changed the NG throttle. However, without the grinding work. But now the problem that hangs the idle at 1100. The choke plunger I have already expanded. Where can I find this screw, which speaks of? Or is that the choke plunger. If so, where is my problem? Not on all this screw is! On RT at me was and here on NG there is no it. LLR - interference by Plus.